Now don't you want to go for a visit? Despite having trampled the city to ruins, Godzilla has been selected as the travel ambassador for the Shinjuku section of Tokyo. That’s the part of town where Toho, the production company behind the original Godzilla movies, is located. Also, there are noodle restaurants. The studio is about to re-introduce the famous monster this year. 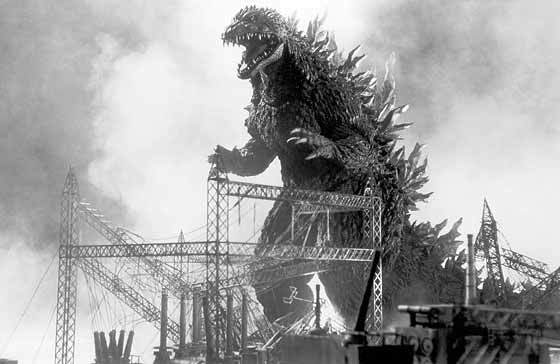 The first Godzilla flick was made in 1954. Last year’s Hollywood version of the movie, starring Bryan Cranston and Elizabeth Olsen has prompted a comeback. A Godzilla head is now hanging off of the Toho office. That area was destroyed in three Godzilla movies. “Hiroshi Ohnishi, chief executive of the Isetan-Mitsukoshi department store chain, who heads the area’s tourism promotion, kept referring to Godzilla with the very polite honorific ‘sama’ — used at the end of a name — underlining respect for the creature as a business-drawing landmark for the region,” writes Time magazine. In the stories, Godzilla was created by nuclear testing in the Pacific Ocean; historically, it was also a symbol for the country’s feelings after the atomic bomb was dropped on Hiroshima and Nagasaki. In a way, having Godzilla as a travel ambassador is akin to Mickey Mouse being the ambassador for Orlando (basically). But more menacing. And the movies have become a symbol of how great and kitschy low-tech movies can be. Very cool choice for a city as hi-tech as Tokyo.